Like LED Tactical Balls, Brite Strike's IR Tactical Balls (RID-3) can be used as a diversionary tool when night vision apparatus is being used by both sides, but more often they're used as markers by Special Ops or SWAT teams wearing NVGs. 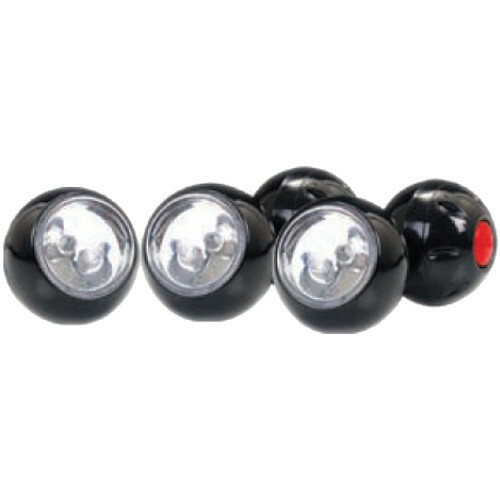 The balls, which have Fast/Slow strobe modes as well as constant On, are weighted on one side to roll and wobble irregularly to attract the maximum attention. Box Dimensions (LxWxH) 14.45 x 6.65 x 2.15"
IR Tactical Balls (RID-3) is rated 4.0 out of 5 by 1. Rated 4 out of 5 by Allendorf & Company from Stunning Product Product meets expectations. Brite-Strike is an innovative company who excels in putting out emergency service equipment to both consumers and responder professionals. And their customer service is excellent. I look forward to purchasing future products.